You signed up to a new gym, you are extremely excited to kickstart your new exercise routine; you went out to buy a whole lot of new #activewear and next thing you know, it has been 3 months since your last training session. Well, well, well, we have all been there. I have been there. We all know our goals and WHYs, we were motivated, we were somewhat committed, how did we fall into the trap of not adhering to our exercising schedule and went from exercise regularly to exercise occasionally or hardly exercising? That's because we have ignored the #1 key to exercise regularly! 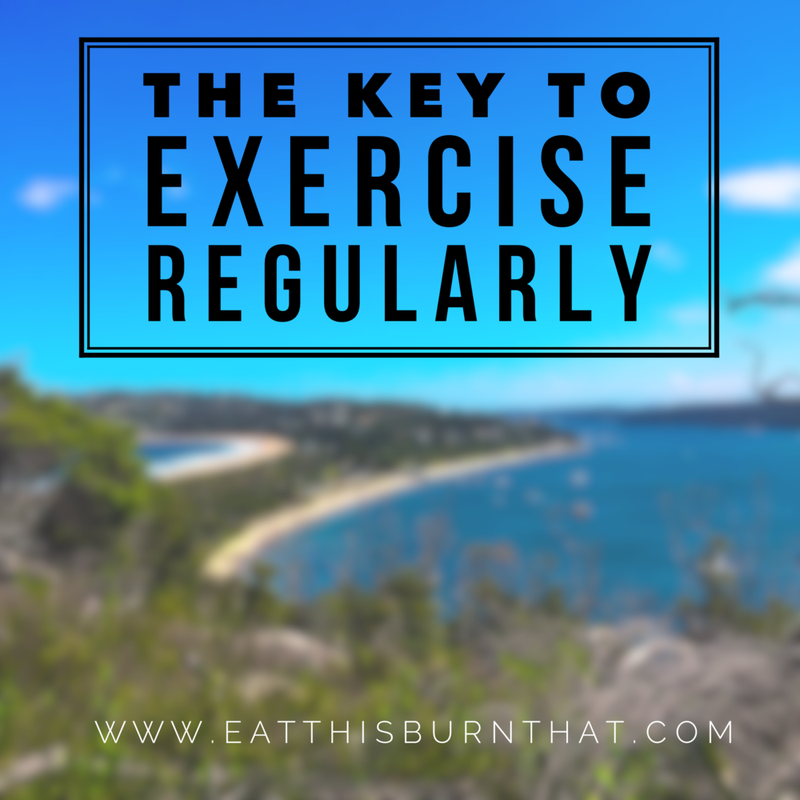 Personally, I think this is one of the most overlooked factor when it comes to exercise adherence. And it has become even more apparent to me when I finally jump on the F45 bandwagon back in 2015. In a span of two weeks, I managed to lean down for my upcoming SEA trip and turned from an after work to morning trainer! I also happily fork out an additional $66 a week now because it makes working out so convenient for me! Are you a social butterfly with your evenings booked out until January 2016? Schedule your workout in the morning or during your lunch break instead. You're less likely to dodge your workout then, compared to if it was clashing with your social events. OR are you an entrepreneur to be and you need to spend most nights after work building your empire? Once again, morning or lunch break is probably your best bet. OR early mornings scare you and you would rather eat a sock than waking up anytime before 7am? Well, work out after work or during your lunch break instead. Whatever the situations you are in or preferences you may have, schedule your workout at a time that you are less likely to cancel. Make it so convenient that you have no excuse to cancel your workout. Unless the aliens are attacking the planet of course. Quick tip: You should either pick a gym/ studio/ bootcamp that is close to home (that you can get to on the way home from work or somewhere you can pop by before your weekend grocery shopping) or somewhere that's within walking distance from work (so you have the option of morning, lunch break or after work training). PS: If you are based in Sydney (around North Shore or Northern Beaches) and looking for a personal trainer to keep you motivated this winter, hit me up on hello@fitfetcher.com for a complimentary session! How many times have you "accidentally" missed a training session because it's too much hassle packing your gym bag, especially if you have to get ready at the gym? I know the struggle - especially when you need to repack your beauty bag every morning! Categorise your gym essentials - beauty essentials (if you train before work or before a social event), personal hygiene stuff such as deodorant, perfume, body wash, shampoos, gym clothes and shoes and others such as water bottle. Bag these essentials according to category - Chuck all your beauty products into your beauty bag; personal hygiene products into an all purpose bag; all your gym essentials in the same corner. Your beauty and personal hygiene products should be separated from your daily products and stay as your "gym products" so you can grab and go whenever you need them rather than having to repack daily. This is why multipurpose products are god sent when it comes to packing your gym bag. If you need some suggestions, do check out my #GymBagHeroes post. I am still using most of these products (and a few extra) to get ready during my morning sessions! Instead of having to pack 19 beauty products, 8 personal hygiene products and 12 other miscellaneous gym essentials every time you pack, you now only have 5-6 items to grab and unpack each time. Packing is not an excuse when you can simply grab and go! Of course, above all this, remember WHY you started and ALWAYS enjoy what you train! If you hate running, try boxing or spin classes instead. If Pilates is too "slow" for you, try a circuit class instead! Or you were a dancer in your previous life? There are plenty of dance fitness classes out there! Honestly, give these tips a go and make your training convenient for the next month! Let me know how it goes!